Our duck and veal demi-glace is made all-naturally with a traditional recipe using duck and veal bones, aromatic vegetables, water, and wine, then slow-cooked for hours to concentrate the flavors. 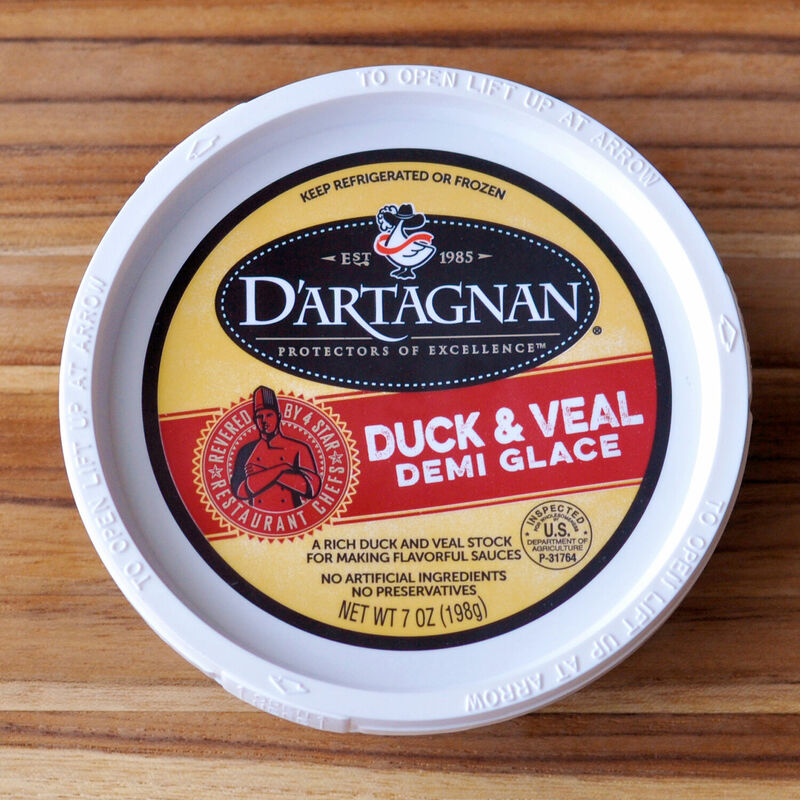 Demi-glace adds body and richness to sauces and is a freezer staple for both pro chefs and home cooks. Our pantry is well stocked with specialty foods and flavor boosters. These staples, from duck fat for frying, roasting and sautéing and silky demi-glace for enriching sauces, to French heirloom Tarbais beans for cassoulet and other bean dishes, will help make you a rock star in the kitchen. Every pantry needs olive oil, and our exclusive Reserve Jean Reno Olive Oil from Provence is stone-pressed at a historic mill, using traditional methods. Also from France, our fully-cooked French chestnuts and preserved, shelf-stable truffle products will add dimension to your recipes.